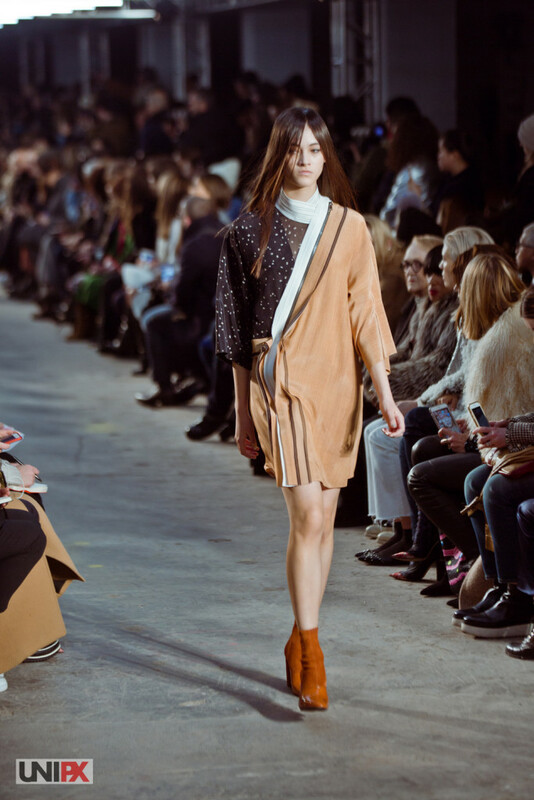 3.1 Phillip Lim’s Fall 2016 collection has incredible unity, balancing strong suiting silhouettes with gentle, flowing lines. 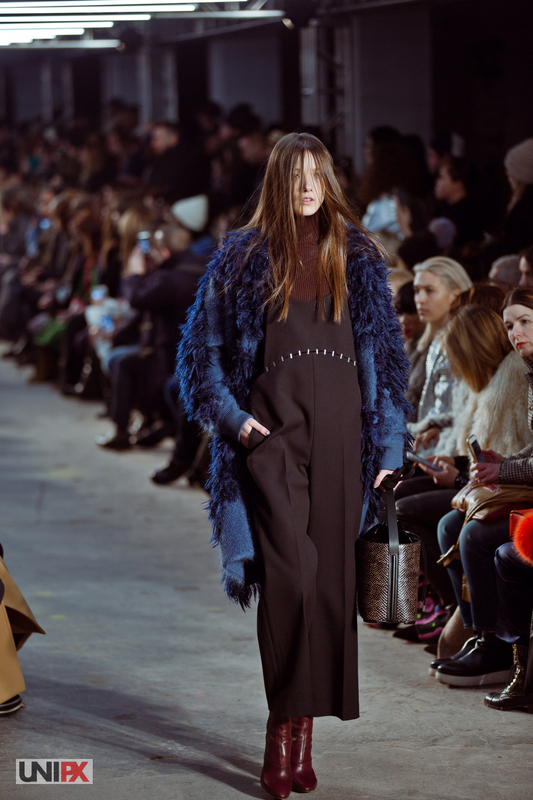 3.1 Phillip Lim’s usual aesthetic of eclectic business chic has an extra Japanese touch this season. Paired with an autumnal color pallet and plenty of suiting plaids and checks, the overall vibe is subdued yet speaks as wildly creative. 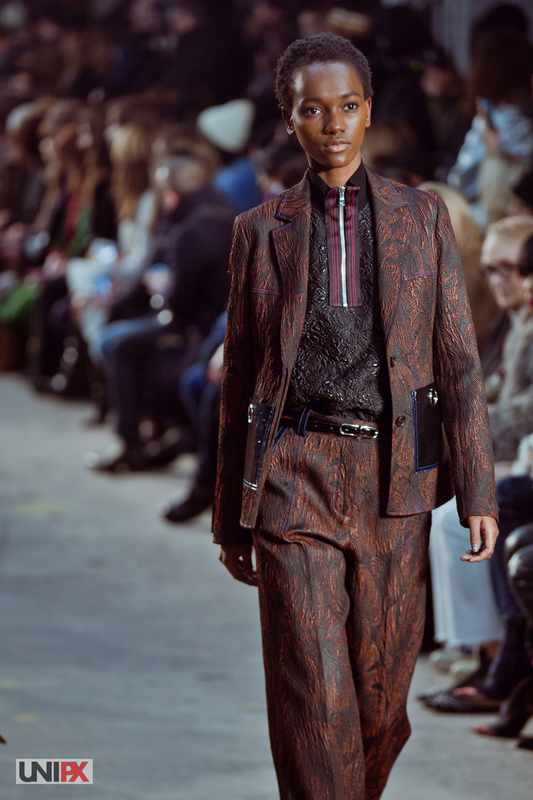 Designer Phillip Lim has the talent of transforming business casual staples in unique and interesting ways. Several pea coats are featured with exterior grommet stitching; traditional pantsuits are made anew with unexpected textures. 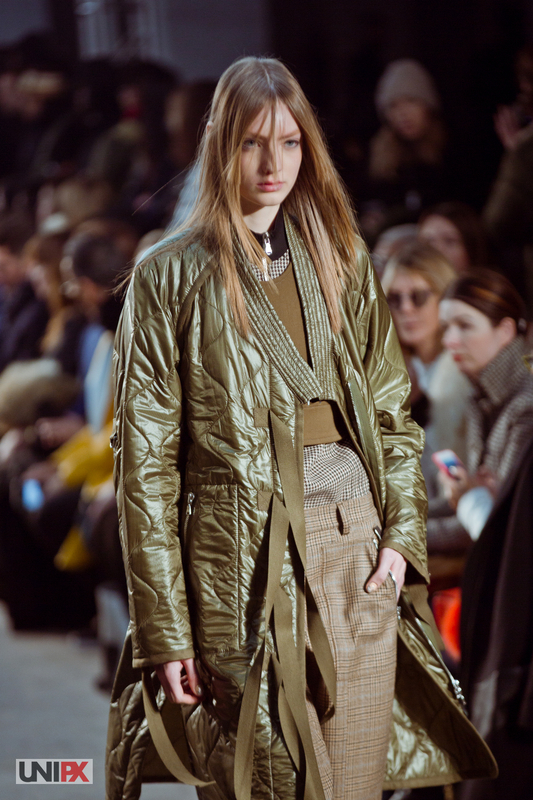 Jackets with front zippers and ribbed collars look sporty, while military green outerwear is outdoorsy. 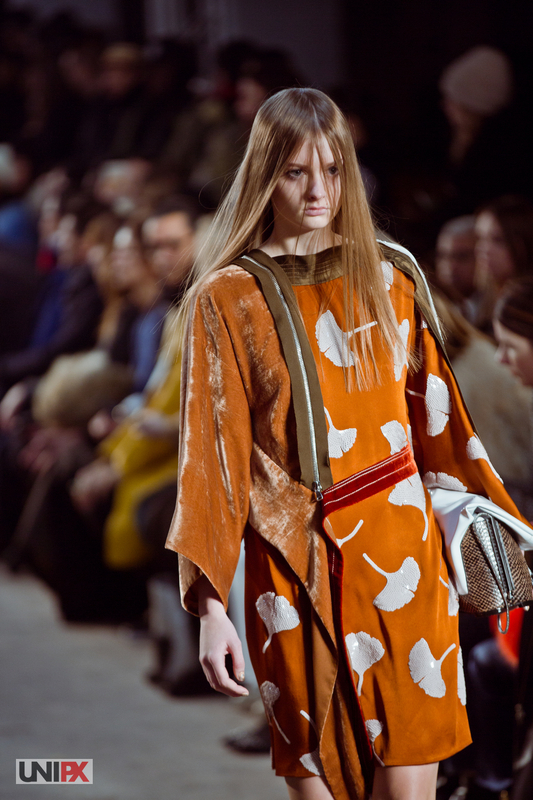 Japanese influence can be seen in quilted jackets, tunics, and in a ginkgo motif featured throughout. 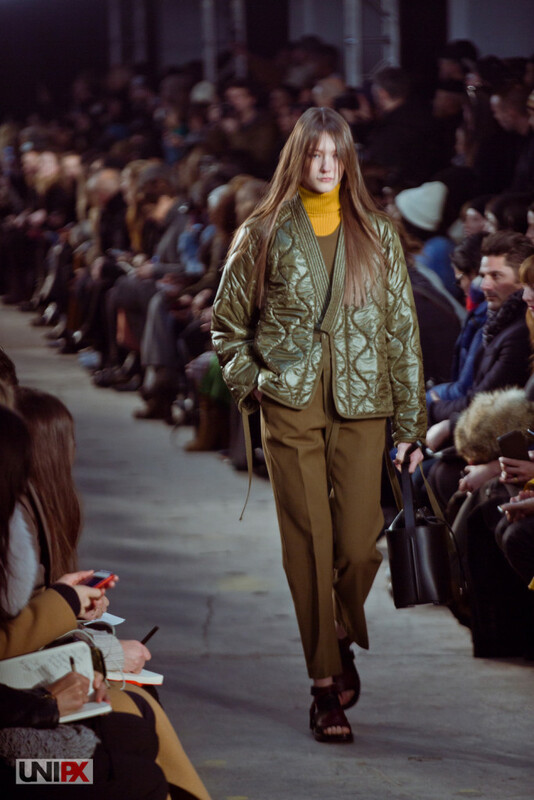 Perhaps most representative of this collection, however, are the reoccurring quilted green pieces with sienna brown flower applique, eye-catching and extremely earthy. From crushed velvets to leathers, there is a variety of contrasting fabric textures that play into the interest of this collection. 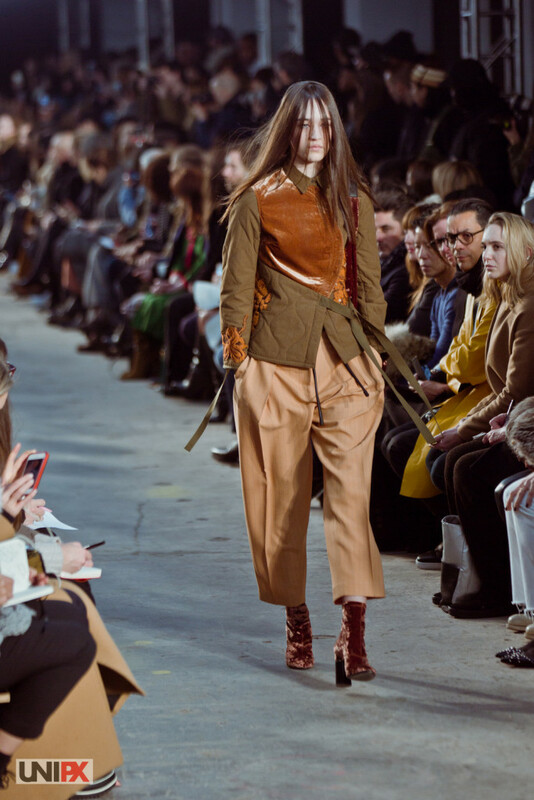 3.1 Phillip Lim puts a spin on fall suiting in a way that is familiar, but this seasons color theme is far more natural than before. 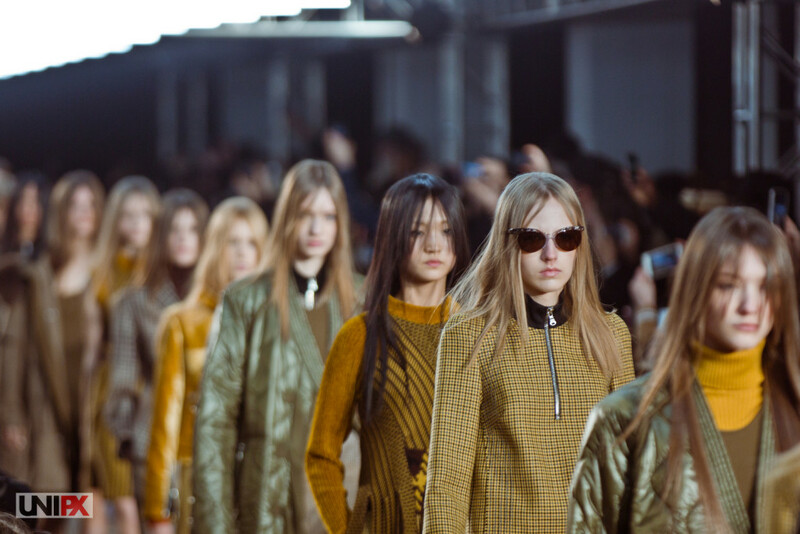 Just after the brand’s ten-year anniversary, 3.1 Phillip Lim’s Fall 2016 collection is still pushing the boundaries of sportswear.